. : : LABEKO s.r.o. :. 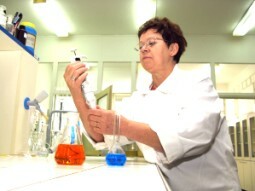 The laboratories, accredited in 1991, employ chemists with experience in analytical and environmental chemistry. The highly qualified and experienced staff and advanced technology (equipment of the laboratories consist of latest testing devices) enable the laboratories to apply such methods and procedures which are required by our clients in order to solve all of their issues. 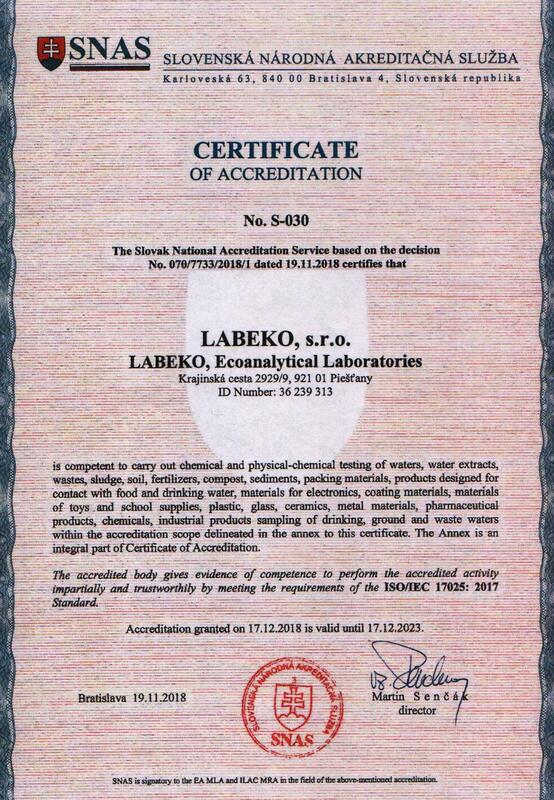 Ecoanalytical laboratories LABEKO, s.r.o. are accredited by the Slovak National Accreditation Service in accordance with standards STN EN ISO/IEC 17025 : 2017 with the Certificate of Accreditation no. S-030. LABEKO, s.r.o. Piešťany resides in the building of Technical testing institute Piešťany, Krajinská cesta 2929/9, 921 01 Piešťany.